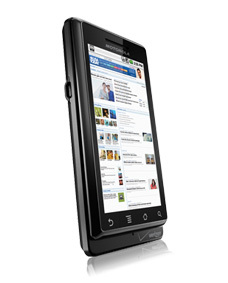 Smartphone Fanatics: Moto Droid 2.1 Update: Is it Out? "Is it or isn't it available yet? ", that seems to be the question that Verizon Moto Droid customers are asking. According to a post earlier this week on BoyGeniusReport.com, the update is available as an over the air update. If you go to the Verizon Wireless Motorola Droid support page, you see a message that the update is "coming soon." On the Droid unit we have in the office, the update wasn't showing as being available. My advice: check back often if you are a software update junkie.